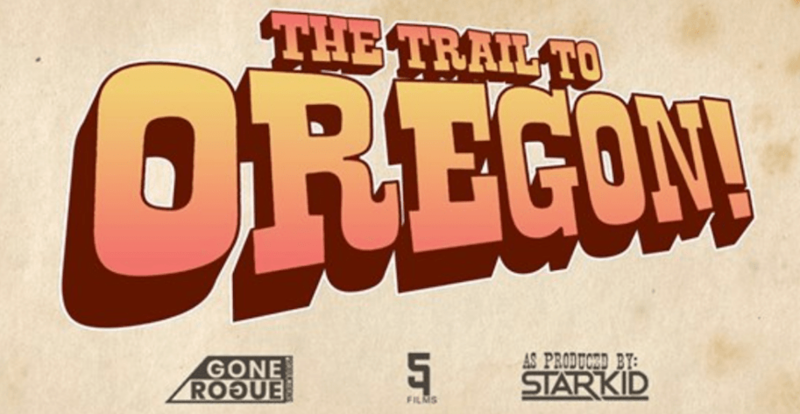 Originally written and performed by American comedy/musical troupe Starkid, and then uploaded to great popularity on youtube, The Trail To Oregon is a unique and interactive take on the old educational computer game The Oregon Trail, widely played in history classrooms. With memorable songs by Jeff Blim, the show tells the story of a family of five – mum, dad, daughter, son and grandpa – all of whom the audience has the chance to name just the way you would when playing the game, as they make the journey across America to begin a new life in Oregon (you also get to choose which unfortunate character dies). Along the way they face obstacles such as hunger, family squabbles, shady general store owners who sell subpar wagons and deformed oxen, dysentery and even a nefarious bandit king. The jokes come fast and pretty much all of them land, leading to a venue filled with constant laughter. Gone Rogue Productions, which has shortened the show by around 45 minutes to be festival friendly, do an excellent interpretation. While not quite as polished as the original production, it is certainly a ‘must see’, especially if you remember the game, or if you’re a Starkid fan. It is fun, fast-paced and original.